How To Do Directory Submission in SEO? How to do directory submission in seo in order to generate backlinks is probably a question that many people have. Directory Submissions have been overlooked and given very less importance in today’s world as compared to other SEO methods. Backlinks are at all times very crucial and vital for websites in order to rank well, but always count on the quality of the links rather than the number. What are Directories in SEO? Directories are the huge databases, which withheld huge amount of websites gathered based on their categories and sub-categories. Certain directories take websites entirely whereas some receive only a webpage or a post. Since people started misusing directory submission procedure and began fooling the system by generating numerous fake links using directory submission software and bots. So Google introduced the penguin update and started penalizing the sites which took part in such black hat techniques. Directory submissions were never banned by search engines, but, generating irrelevant and bulk directory submission listings are definitely not welcomed. Which Directory Submission Method is favored by Google? While doing directory submission Google keeps these important factors in mind: they look at the quality & relevancy of the directory. There are quite handful of directories which have made a firm reputation in the SEO industry and are abiding Google policies strictly. Here are some names of directory submission sites that Google likes below. These days, you cannot submit to hundreds of directories and in return assume to get a boost in ranking or traffic instead it can lead the site to be penalized. As an alternative, emphasis on how relevant the particular directory is and if it abides by Google guidelines. The rules and regulations of a directory site lay the preliminary groundwork. Google also considers algorithmic rules as an important factor; the directory has to abide by the algorithm rules to make sure they are not just a business for profit and providing no value to the web. Submitting your business listing to a bad directory will cause to a drop in the search ranking. It is vital to analyze the directory policy. So by far you probably have the answer on how to do directory submission in seo . Lets dig a little more deep. In this type of listing , the owner of Directories site will ask for money for Submission and your link will be approved within minutes or within 24 hours. This will assist you in getting backlinks from this type of submission. Certain sites provide this package for yearly or lifetime. This type is free for Directory Submission, you don’t have to pay for free or regular submission. Although there is no assurance of the websites being approved by the Administrator. Also, this is little time consuming but the end result is fruitful. 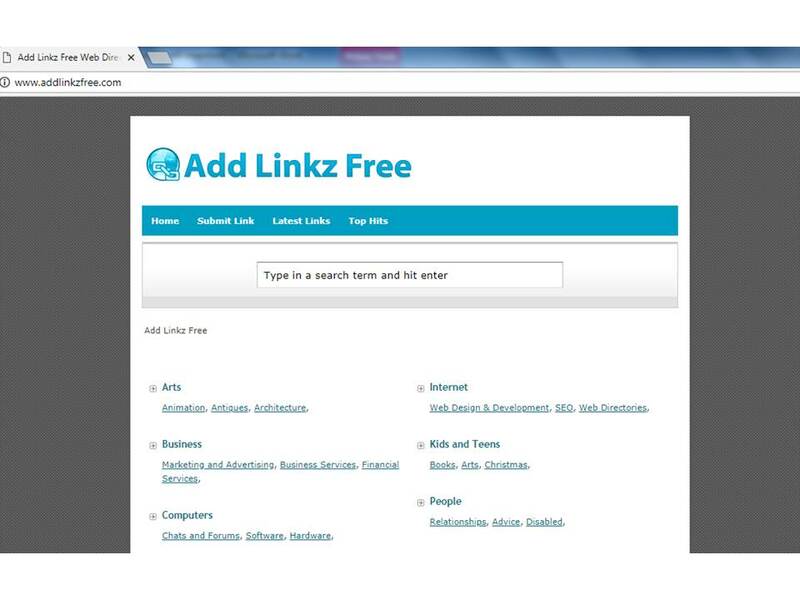 In this type, a reciprocal link must be submitted to your site when you activate Directory Link. Only then the Directory administrator will approve your link. So How to do Directory Submission in SEO? While doing directory submission for seo select the most relevant and suitable category while doing Directory Submissions for effective SEO. The first step is to select amongst the best directory submission site list. Select the site where you want to post your blog or website. 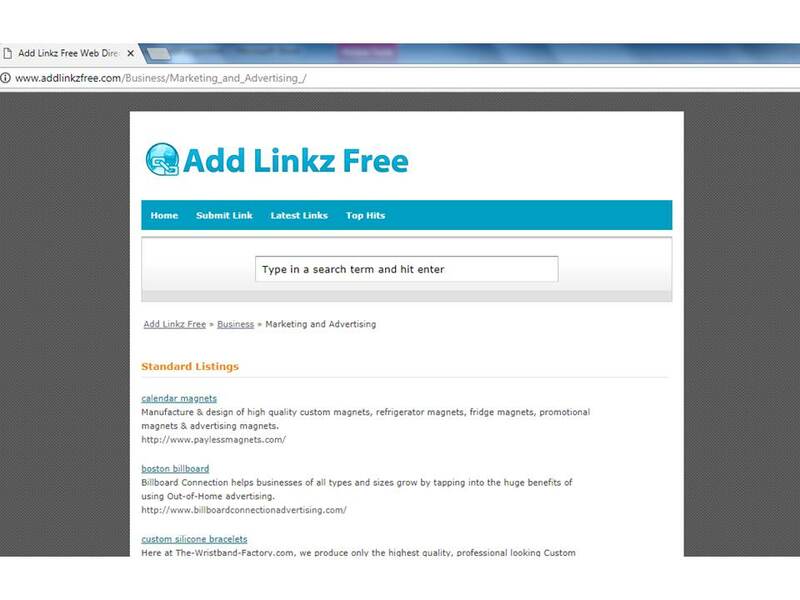 I have taken http://www.addlinkzfree.com/ as an example. 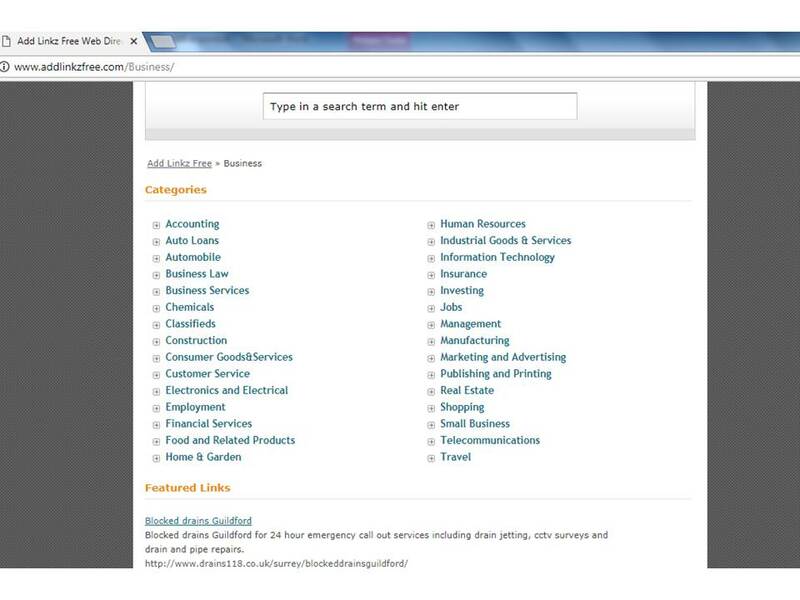 Then select the most suitable category, where you think your business/blog fits best amongst the categories. After deciding, click on the relevant category and click on submit link. Next you will see many options to choose from. So select the most suitable sub category. The last step is to submit the link. 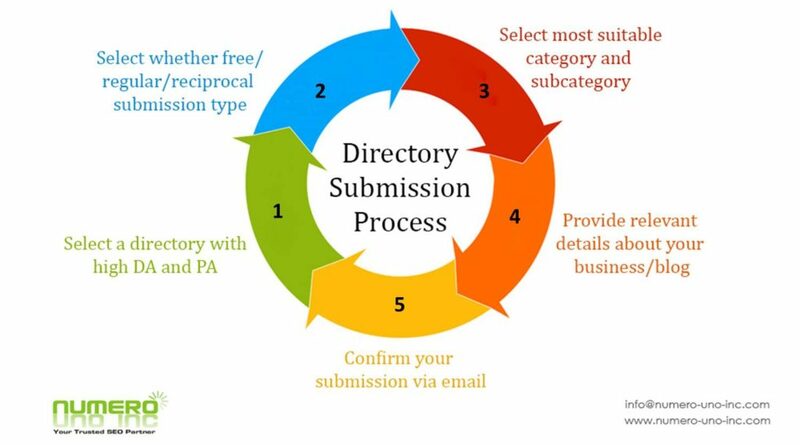 Choose which type of directory submission you want paid, free, regular or reciprocal. Insert all the correct details of your link. Confirm your submission via email. After that your submission is complete. Backlinks are kind of pillars to a website, for obtaining good rankings as well as traffic. Earning SEO-Friendly backlinks is a necessity for any website, and gaining them is the first thing any SEO expert does. Directory Submission is that off-page technique to consider, in order to gain quality do-follow backlinks. Secondly Exposure: Performing directory submission will assist you to get your website with relevant exposure in the directories in your category. This will gradually drive up the rankings in the search results too. Submit your website to the most trusted directories having high DA and PA and appropriate sub category. Do not submit your website to the wrong category just for profitable listings. Provide all the correct details regarding your business or blog. Do not engage in a site which involves a link back or banners on your site. This may harm your site’s SEO score. Never ever automate directory submission process. 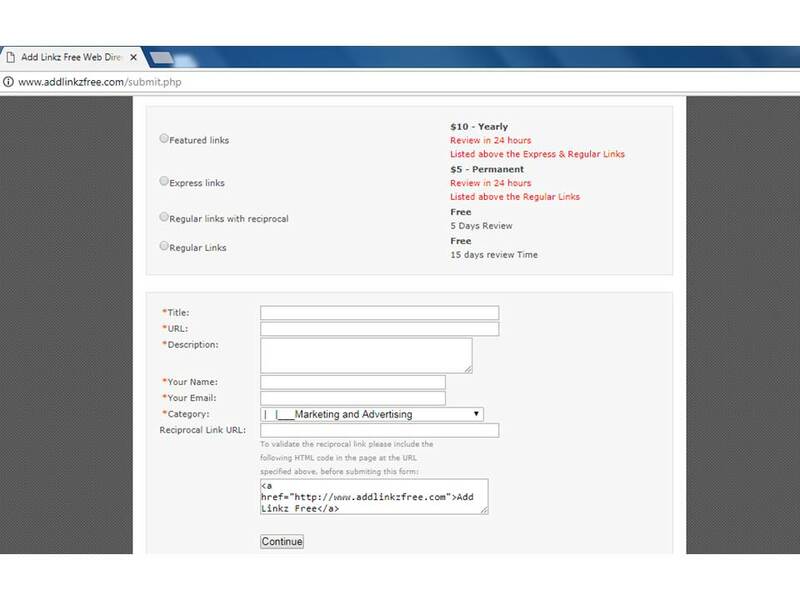 Your website gets acknowledge by performing Directory Submission. In order to get backlinks it is crucial step to submitting your sites to directories. It is great to get listed in few worthy Directories for SEO benefits but dont go overboard. We at Numero Uno provide Directory Submission Services. We are constantly examining these directories to ensure they are performing to our expectations. Our directory submissions team will manually enter your information onto these hand-picked directories, and you can sit back and enjoy unbelievable results. Please feel free to ask any queries regarding directory submission,will be glad to help. 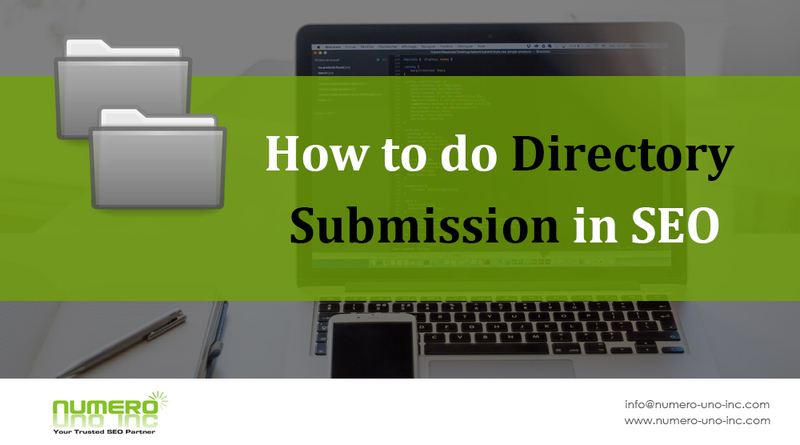 Hope this article has cleared your doubts on how to do directory submission in seo. This entry was posted in Directory Submission, Off Page SEO and tagged backlinks, directory submission in seo, off page seo. Bookmark the permalink. Well written article, I recommend the user to do directory submission with all other SEO practices since it will act as a catalyst even when things slow down to improve your search engine ranking. Totally agreed with your points.Directory submission is indeed a very useful technique which benefits in SEO process. thanks for best directory submission website list . Sure will keep posting more useful articles. Great post here! Good luck for the next! Just wish to say your article is as amazing.The clearness to your post is just excellent and that i can suppose you’re knowledgeable on this subject.Well with your permission allow me to clutch your feed to keep up to datewith forthcoming post. Thanks a million and please keep up the rewarding work. Thanks a lot for the compliments !